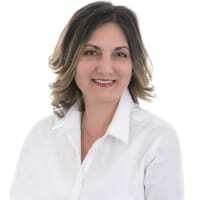 Nellie Terzieva, MBA, CIPS is an International REALTOR® in Toronto with RE/MAX WEST REALTY INC. She was born and educated in Bulgaria, Europe. She holds a M.Sc. Degree in Agricultural Economics and Management and Post Graduate Degree in Accounting and Law of Small Businesses. More than 20 years ago, Nellie moved to Orlando, Florida. Her International experience started first during her International Exchange Program and later in her college and during her university program. She holds MBA Degree from University of Central Florida, Orlando, Florida. During her full time MBA Program, she also worked as a teaching and research assistant at UCF and had the opportunity to work on a university project organized by the Department of International Studies with main goal to educate faculties how to work with International Students. Moving to Toronto gave Nellie Terzieva new opportunities in the field of International Business. Becoming a REALTOR® helped her to continue working with International buyers and sellers. She holds the prestigious CIPS, Certified International Property Specialist designation and is constantly working on broadening her knowledge and skills in Real Estate. Providing professional services related to Real Estate locally to people from all over the world for over 10 years in Toronto, GTA and most recently in Ontario is Nellie's passion. Her mission is to help international buyers feel in Canada like at home. Nellie has extensive network with International REALTORS® from around the Globe and she would be more than happy to help you Buy or Sell a property in CANADA or abroad as a primary residence, secondary property, vacation, recreational or investment property. Nellie Terzieva is Never too Busy for Your International Referrals! Join The MBA GROUP, International Real Estate!